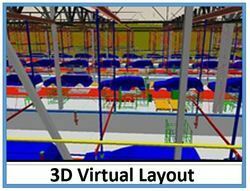 Digital Factory, based upon 3-D Layout (3-D modeling of whole layout of a shop), is our service aiming to proceed with designing and verifying the most efficient layout using MicroStation. 3D modelling is used in variety of fields. 3D modelling is the graphical representation of any three-dimensional surface of object via specialized software. The product is called a 3D model. CircuitSutra provides consulting services in the domain of SystemC modeling. Virtual Platform of System on Chip (SoC) or Electronics Systems. We develop the virtual platforms of complete SoC or Electronics Systems. A virtual platform can be targeted towards the following use cases. 3D fusion team is a source to design top notch 3D models. Our services are widely used by manufacturing industries, automobile and architectural. Our design team constantly strive to offer you designing and modelling service at affordable rates. To retain our goodwill in client's consideration, we are manufacturing an excellent quality range of Image Based Modeler. An intuitive and quick way to build 3D models out of pictures An image based modeler tool to build realistic models of architectural scenes and provide walk-thorough. 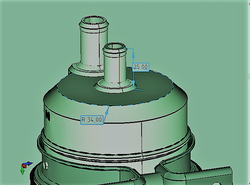 Solid Works 3D CAD software delivers powerful design functionality with the intuitive Solid Works user interface to speed your design process and make you instantly productive. The software combines in 3 different version i.e. Premium, Professional and Standard. Star INXS Solutions (P) Ltd. This program is meant to train the those students or professionals who already done Basic Program but not able to cope up with latest demand of industry.The learning outcome will help to students to Digitally sculpt a Hyper Realistic Model, Photo-realistic Texturing and Lighting. - Improving planning and coordination among architects, engineers, project managers and project owners. Exigent Game Art is one of the best gaming company in game art outsourcing business. In last 10 yrs we have worked on many AAA titles. We are specialized in Game Art Outsourcing, Video game art development, Mobile game art outsourcing, Virtual Reality Art Outsourcing, 3D Animation Outsourcing, 3D Art Outsourcing.